Fall for the distinct, sweet smell of our Lemongrass Manila Castile Soap in every bath. Be revitalized and refreshed every time you take a shower or wash your hands without drying your skin. Created from Pili Oil, Virgin Coconut Oil and Palm Oil, our Lemongrass Manila Castile Soap was fashioned with the Filipino skin in mind. We combined the cleaning power of Virgin Coconut Oil Soap, the exotic properties of Pili Oil Soap and the lathering effect of Palm Oil Soap in one bottle. 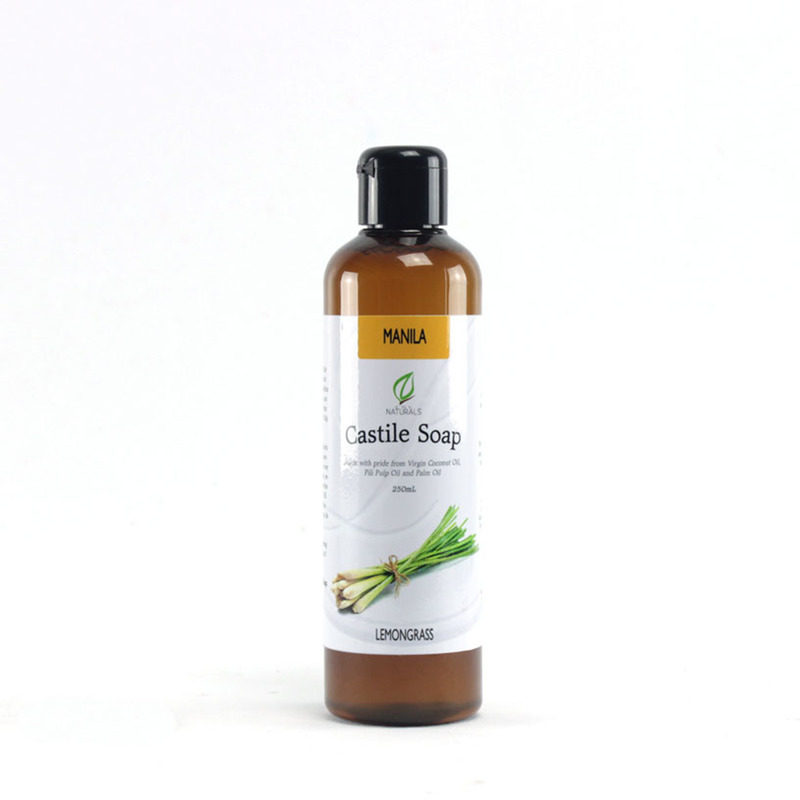 Infused with essential oils of Cymbopogon citratus natively found in the Philippines, the Lemongrass Manila Castile Soap is always a delight in the shower. Made-by-hand, all-natural and organic liquid castile soap from Pili Oil, Virgin Coconut Oil, Palm Oil and Lemongrass Essential Oil.